We had an allotment day yesterday. I lugged three trays of flowers down to plant along with one tray of sprouts, the children and a bagful of food. The middle boy cooked lunch of rice and veggie sausages on his Trangia and then they disappeared into the wild to wave sticks around and get covered in mud. I spent the whole time weeding and digging over an area to plant the sprouts. It took almost the whole time I was there, so I ended up bringing the flowers back again. Frustrating - allotment things always take a bit longer than I think they will. There are quite a few plots down there now that are absolutely immaculate. It's brilliant to see, I love to have a wander and admire the beautiful weed-free earth around the fruit trees and neat rows of seedlings. It was quite lovely down there in the late spring warmth. 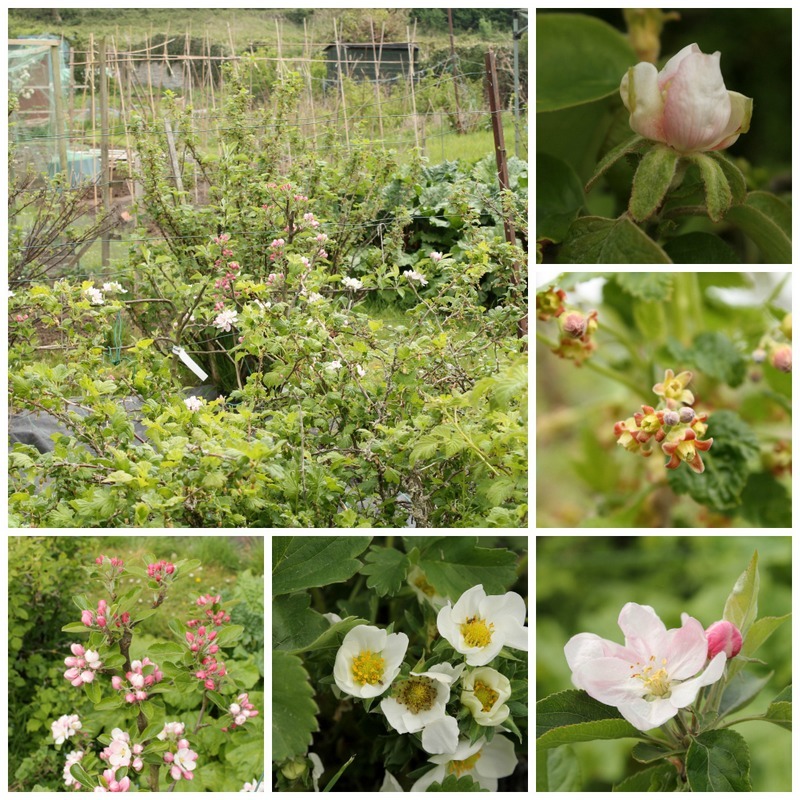 Everything was flowering - a neighbouring quince tree, strawberries, blackcurrants and most of the many apple trees on the site. The bees were out and about enjoying the balmy air and taking their pick of blossom. We left just as it started raining. I absolutely love when it starts raining just as I've finished gardening. It's so satisfying to see everything being watered. I was in a bit of a state by the time I'd done a few chores around town and got everyone home though. I'm not sure why, but every time I go to the allotment I end up with a horrible headache. Yesterday's was the worst yet. It's really frustrating because it blights the rest of the day. I expect to be tired, but the headaches are verging on migraine at times. I think maybe it's a combination of the bright light, although it seems to happen even with sunglasses, getting hot and maybe not drinking enough. I don't get it in the garden, only down at the plot. hayfever? allergy? I had a really bad headache/migraine the last few days too... weird. I get migraines if I'm out for long periods without being vigilant about drinking huge quantities of water. Marmite helps too; I think because of losing salt when working outside. That's interesting, I think that might be what's happening to me as well. I'll try and drink more in future and see if it helps. Thanks for the tips. i planted strawberries and three blackberry bushes yesterday, and it conveniently started to rain just as i was finishing...it was all very smug-making. sadly, it didn't amount to much of a rain, but it was pleasing at the time. sorry to hear of your allotment headaches...i concur with the combo of dehydration/posture/sun-glare. i hope you've had a restful patch...i understand very much the harried pace of trying to fit things in. spring is a very rushed sort of season, i find...so much that needs to be done is a bit time-sensitive. I'd like to have a less-harried feeling to it all...but it escapes me just now. Maybe try drinking more, I always get a headache when I don't drink enough in the sun and wear a hat. I am not bothering with sprouts this year they just don't seem to grow here and I end up been very disappointed. Hope you manage to get a rest. Good post and lovely pictures, but sorry to see that you end up with a blinding headache after you've been plotting. 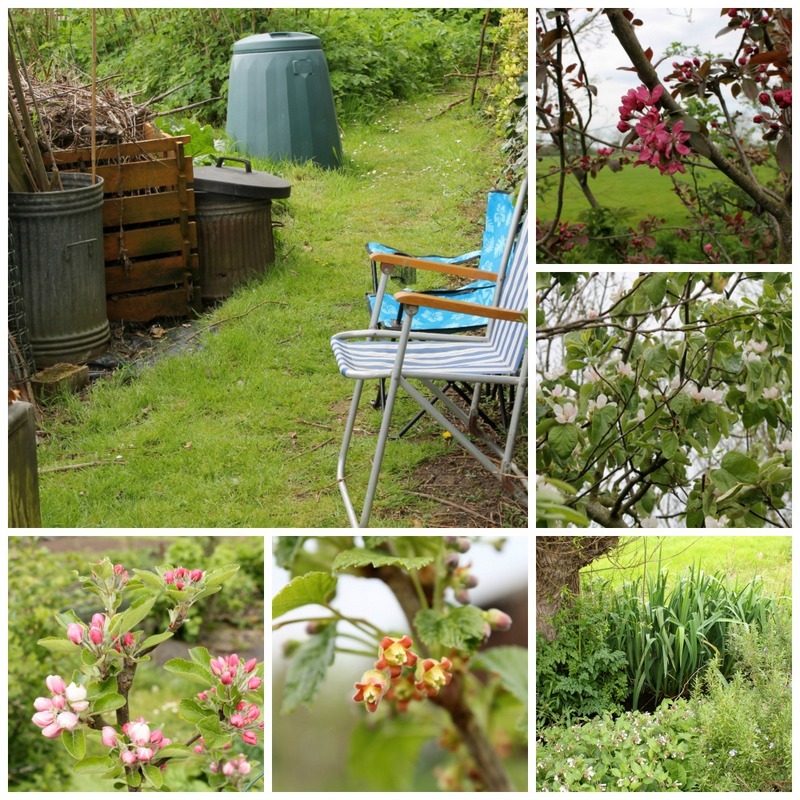 A lovely post and beautiful photos of your plot dear C.J. Sorry to hear about your painful headaches, perhaps you should drink more water as dehydration can cause headaches. I find that bending over a lot when gardening sets off a headache, I think that this has more to do with blood pressure, sunglasses and a hat to keep out the glare should help also. So nice of your middle boy to cook lunch, it sounded delicious, I really enjoy vegetarian meals. Have a relaxing Sunday. Yes I often get a headache after gardening, and I think it's down to not enough water. And like you, I love it when it rains after. For one thing I don't have to stand there with a can or a hose. And the smell is lovely too. Those chairs sat side by side look inviting. Did you eat your sausages there? I was glad that we hadn't planned to go to the plot today as it is so hot. No rain here yesterday but not as hot. Wearing a hat with a brim, a straw hat for instance, helps. Drinking lots too. sorry about the headaches. my teen boy gets horrid migraines, we try really hard to find their causes, tiredness, stress, bright sunshine and dehydration, all of them maybe........... x take care, I hope you got your quiet afternoon. I wonder if there is something growing in or near the allotment that could be causing your headaches? the dehydration and sunshine make sense, but maybe there is a tree or plant causing a reaction :-( esp if it doesn't happen in your garden. my mum used to get headaches from a neighbours' tree - I cant for the life of me think what it is right now - and I too feel nauseous when I walk past a hedge of it at the local library. I too love it when it rains after gardening - and that is exactly what happened yesterday! We've been getting rain too, along with thunder, lightning, high winds, and last night a vicious tornado! Not planting here yet as we are not yet past the frost 'free' dates for the area. I get headaches from bright light and strong heat too, so taking breaks in the shade, with a tall glass of iced - - - - is my recommendation! Lovely to hear about your allotment on here. We are definitely into the growing season now. Regards the headache, my guess is dehydration. Never underestimate the power of keeping yourself hydrated. I'd also be wearing a hat now we are into hotter weather, and shades for when it's really bright. I'd also take some juicy fruit, something sweet like pineapple or an orange to keep your sugar levels up. 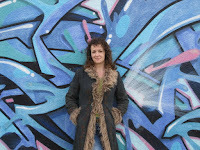 As always, a delight to read your blogpost and look at your super photos. Regarding the headaches - sounds like dehydration to me. You really do have to drink loads of water all the time, especially when you are working in the sun. I hope you are wearing a hat too! Try to take it easy today. Sounds like you had a very productive day. And a lovely lunch cooked for you, too! Shame your time at the allotment was marred by a nasty headache but hopefully some of the suggestions from other commenters will help prevent recurrence. (I'm no doctor but tending to think this may be connected to all the weeding and digging which can put a lot of strain on the neck and upper back.) Maybe you could consider herbal remedies - I know feverfew is often used to relieve headaches. And you've got me thinking that the little garden here is one big headache! Have a good week. I wonder if you could be allergic to something growing there, maybe on someone else's plot. I hope you felt better quickly once you were home. The allotment is looking really good already this season, you're going to have a successful summer, I think. I hope you have a great week, CJ.